Today is Day 5 of #Blogtober14 (aka blog every day in October), brought to you by Helene in Between and The Daily Tay. 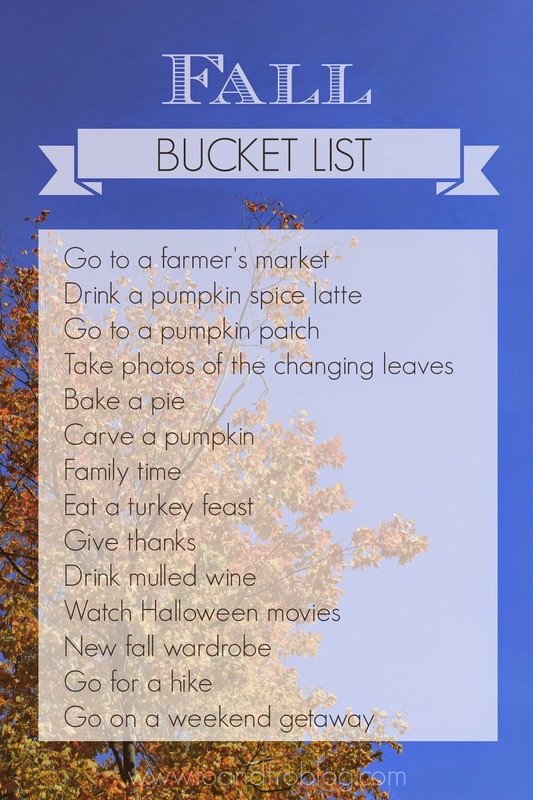 Today's topic is "fall bucket list". To play along, check out the daily prompts here. This is a great list. I need to get some fall clothes.